Still Image from "Weasel" Video, clay, 2013. 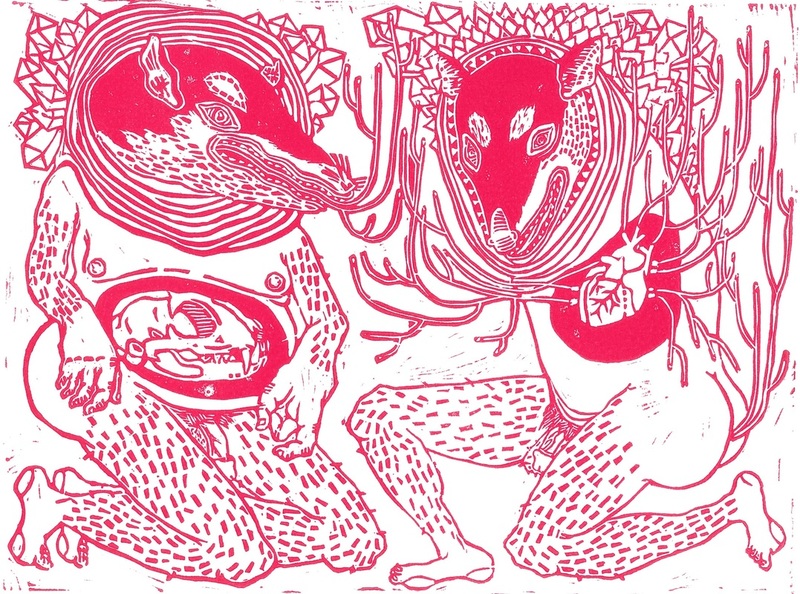 "Weasels with Veins," linocut, 9"x12", 2013. 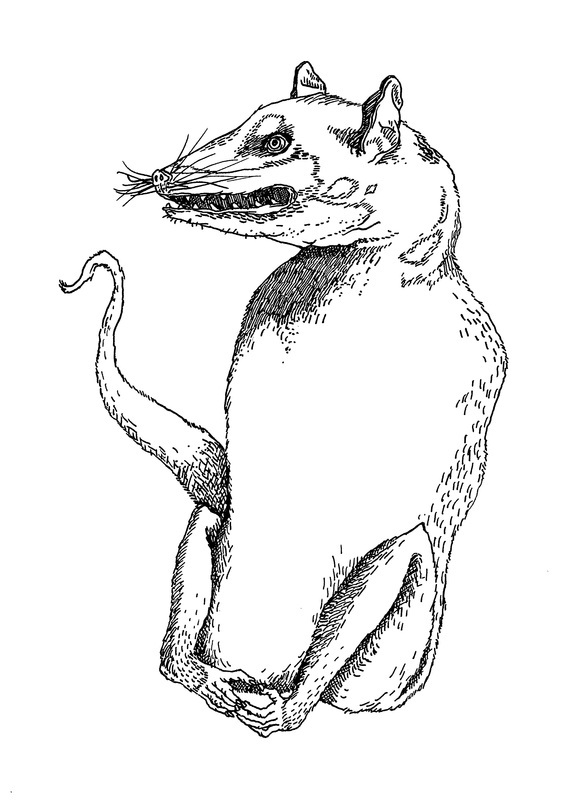 "Weasel with no Arms," ink on bristol, 9"x12", 2011.